Daniels' first legislative success created the public-private Indiana Economic Development Corporation to replace a failing state bureaucracy in the mission of attracting new jobs. In its first four years of existence, the agency broke all previous records for new jobs in the state and was associated with more than $18 billion of new investment. In 2008, Site Selection Magazine and CNBC both named Indiana as the Most Improved State for Business in the country. In 2012, Indiana became the 23rd Right-to-Work state. Indiana is now near the top of every national ranking of business attractiveness and is the top job-creating state in the nation. On his first day in office, Governor Daniels created the first Office of Management and Budget to look for efficiencies and cost savings across state government. In 2005, he led the state to its first balanced budget in eight years and, without a tax increase, transformed the nearly $800 million deficit he inherited into an annual surplus of $370 million within a year. The governor also repaid hundreds of millions of dollars the state had borrowed from Indiana's public schools, state universities and local units of government in previous administrations, and reduced the state's overall debt by 40 percent. The second biennial budget replicated this fiscal discipline and built reserves equal to 10 percent of annual spending. Today Indiana has a AAA credit rating (the first in state history) and the fewest state employees per capita in the U.S.
During his first term, Governor Daniels spearheaded a host of reforms aimed at improving the performance of state government. These changes and a strong emphasis on performance measurement have led to many state agencies, including the Bureau of Motor Vehicles, Department of Child Services and Department of Correction winning national awards. 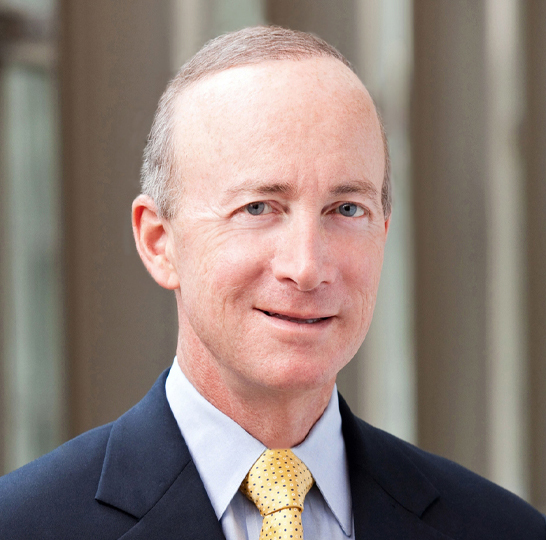 Governor Daniels' innovations include the 2006 lease of the Indiana Toll Road. This is the largest privatization of public infrastructure in the United States and generated nearly $4 billion for Major Moves, the state's record-breaking 10-year transportation and infrastructure program. The Healthy Indiana Plan was enacted in 2007 to provide healthcare coverage for uninsured Hoosier adults, and comprehensive property tax reforms in 2008 resulted in the biggest tax cut in Indiana history. Today Indiana has the lowest property taxes in the nation. Both initiatives received overwhelming bipartisan support. In 2011, under his guidance, Indiana passed the most sweeping education reforms in the country. Because of these reforms, Indiana is dramatically expanding charter schools, providing parents with more school choice, revising teacher evaluations and expanding full-day kindergarten funding. In 2010, he established WGU Indiana, a partnership between the state and Western Governors University aimed at expanding access to higher education for Hoosiers and increasing the percentage of the state's adult population with education beyond high school. Many organizations have recognized the governor's leadership. In October 2010, Daniels received The Woodrow Wilson National Fellowship Foundation's inaugural Medal for Distinguished Service to Education for his efforts to reform education. In January 2011, the governor was one of three recipients selected to receive the first-ever Fiscy Award, presented for leadership and commitment to responsible financial stewardship by the non-partisan Fiscy Awards Committee. Daniels also received the "2011 Friend of the Family Award" from the Indiana Family Institute, which recognized him for his strong record of pro-family, pro-life and pro-faith actions taken as Indiana's chief executive. In May 2012, the Manhattan Institute presented the governor with its Alexander Hamilton Award for his achievements in state government; including healthcare improvements, landmark education reforms and fiscal responsibility. The governor's conservation efforts have set aside record acreages of protected wetlands and wildlife habitats. In March 2011, Daniels was a recipient of the Wetland Conservation Achievement Award from the national conservation organization, Ducks Unlimited, for "making land conservation a top priority and for preserving thousands of invaluable acres across the state for future generations." In January 2012, he received the Chancellor Award for Conservation and Wildlife Protection from the Weatherby Foundation and in March 2012, he also was awarded the Theodore Roosevelt Award from the Indiana Wildlife Federation. His efforts earned him the nickname "The Teddy Roosevelt of Indiana" by the Nature Conservancy. Daniels received the Woodrow Wilson Award from Princeton University in February 2013. The award recognizes an alumnus whose career embodies the call to duty in Wilson's famous speech, "Princeton in the Nation's Service." The award was presented during Alumni Day activities on February 23, 2013. In February 2013, Daniels was asked to co-chair a National Research Council committee to review and make recommendations on the future of the U.S. human spaceflight program. The appointment to the Committee on Human Spaceflight runs through June 30, 2014. In March 2013, Daniels was elected to the board of Energy Systems Network (ESN), Indiana’s industry-driven clean technology initiative.